The work on my site still isn’t finished – thank you for your understanding. But in the meantime I am showing you my newest Watercolor figurative painting. 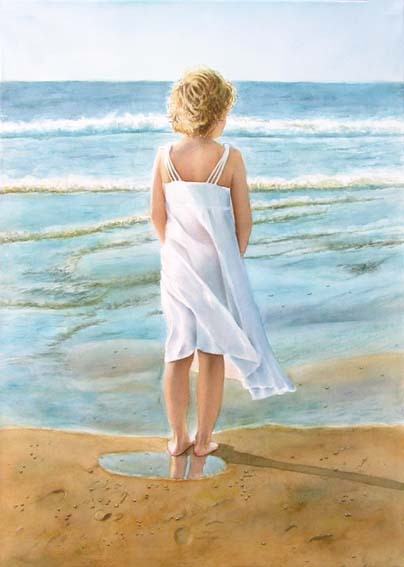 It is a young girl standing at the beach overlooking the ocean. I am just having fun with painting the water, the sand, the figure with her dress flowing in the wind.